Last week, I hosted a baby shower for two friends at our house. Two moms, three babies. A set of twin girls and baby boy! I can’t wait for them to be here! In typical fashion with this group, the shower was really more of a cocktail party than a traditional baby shower. The moms-to-be were good sports, sipping their Perriers, as the party went on around them. Love those girls! I decided to make these little bite-size ham biscuit things my mom makes for the party — it was in the evening and called for heavier hor d’oeuvres than I probably would have done during the day. They are really simple to make, and so good. It’s basically ham and swiss with melted butter poured over them. The ultimate comfort food. They are also great for a party because you can pile them up on a tray, making them great finger food! Put these on the list for your next get-together. I know it’s like a zillion degrees outside, but these are great for winter holiday parties as well. Preheat oven to 350. Take the rolls out of the package and using a bread knife, cut the rolls in half, treating them as one large roll. 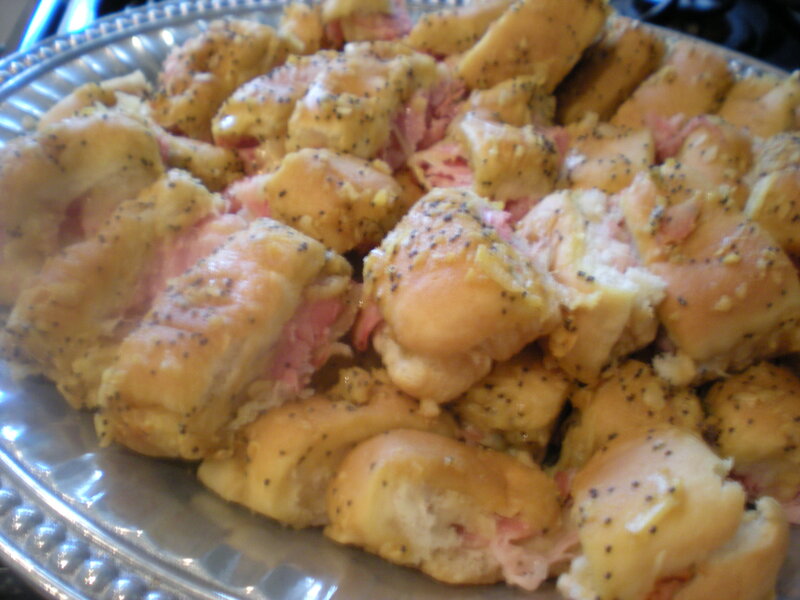 Top the bottom roll with ham and then swiss. Put the top of the roll back on and put the rolls back into the aluminum tray they came in. Cut the individual rolls at this point, now that they are back together in the package. In a small saucepan, melt the butter and the rest of the ingredients together over low heat and whisk well until thoroughly melted and mixed. Pour the mixture over the rolls, using a brush or spatula to cover the top of the rolls well. Bake for 15-20 minutes until golden on the top. Serve immediately while hot. This is kind of a silly post, but I had to share one of our favorite snacks/appetizers/anytime food. It’s freshly popped popcorn. Not the microwave kind (which I don’t really like), but the fresh kernels popped on the stove in oil. 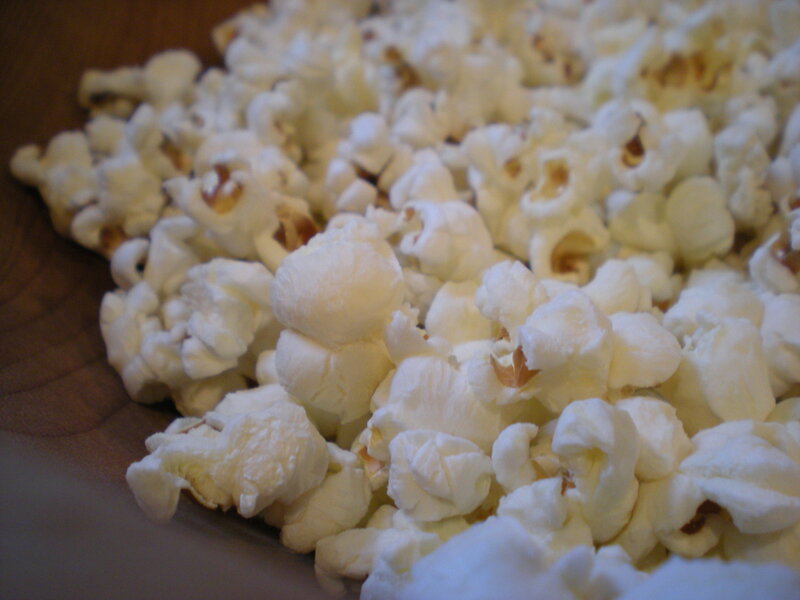 The popcorn gets so much hotter, crunchier and more flavorful when done properly on the stove and it really takes no more time than microwaving a big bag. And you get a LOT more popcorn. And it’s cheaper. I could go on and on why it’s better for you. But trust me, just try this the next time you need a casual appetizer, especially for a large group. 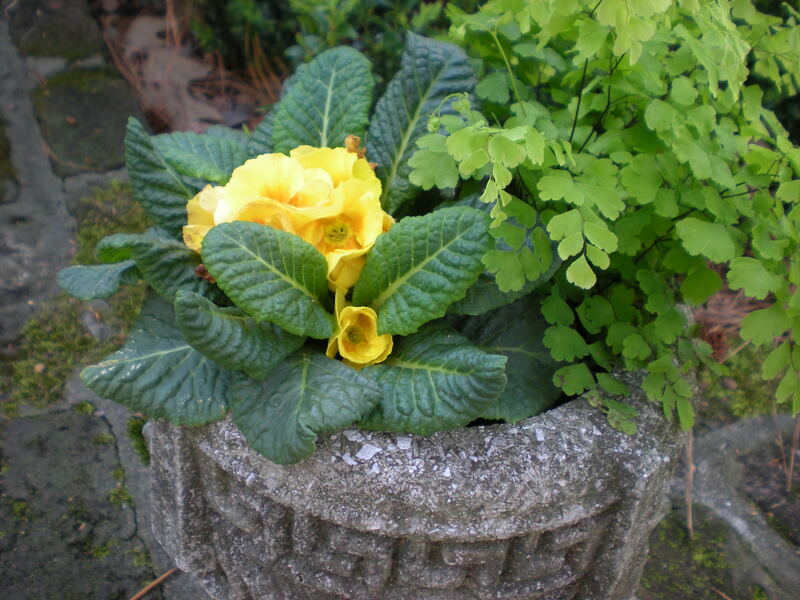 You can make as little or as much as you want and it’s so worth it! YUM. 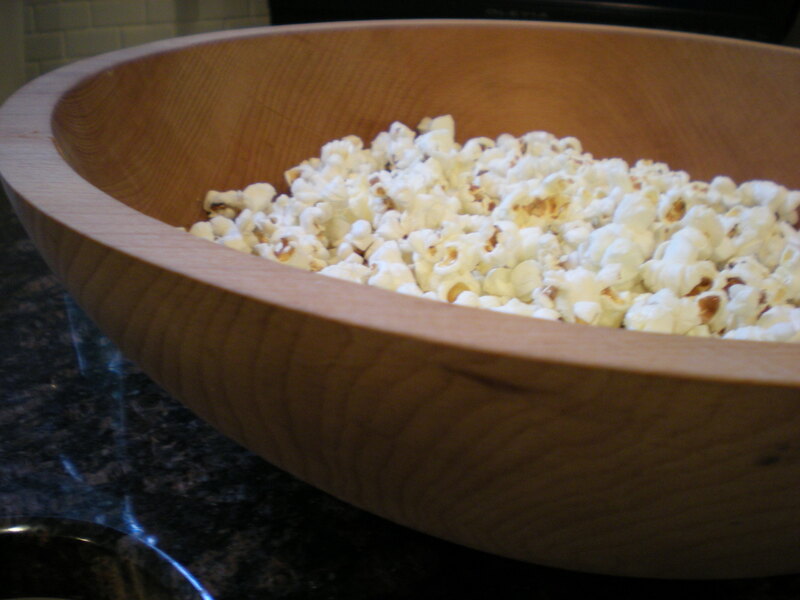 In a heavy saucepan, pour in the tablespoon of olive oil and the kernels and cover with a lid, leaving it ajar just a bit to allow steam to get out, but not enough that popcorn will fly out. Heat the pan to medium heat and let the popcorn do its thing. When the rapid popping slows to 2 seconds between pops, take it off the heat so it won’t burn. Usually takes about 5 minutes total. Salt well, shake and serve! 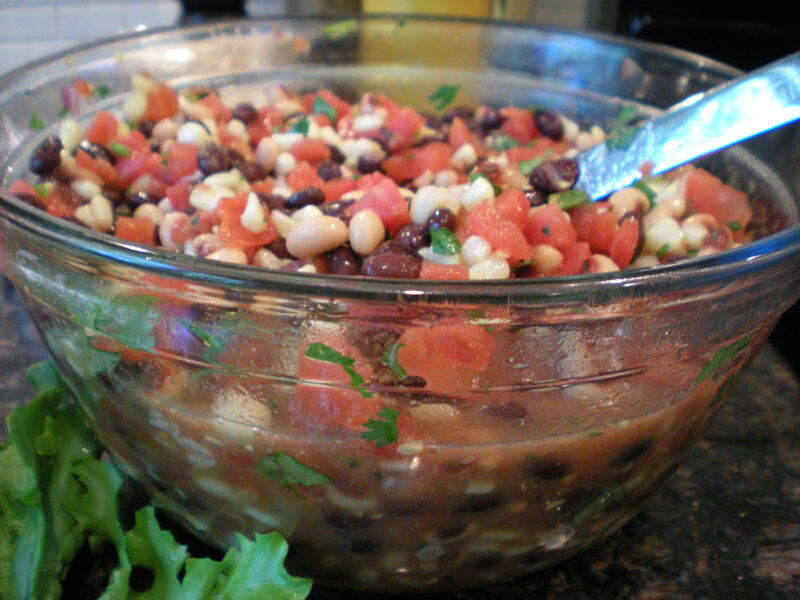 If you are looking for a healthy, delicious offering to bring to your Memorial Day BBQ, this is the perfect recipe. My husband asks for it all the time and while it’s originally designed as an appetizer, the leftovers work great as a side dish for lunches, too. It’s super-healthy, colorful and makes plenty for a large crowd. And the best part — it’s so easy, you just dump a bunch of cans together and go! Happy Memorial Day! In a strainer over the sink, drain the corn, beans and peas, rinsing well to remove any of the canning residue and sodium. Dump into a large mixing bowl. 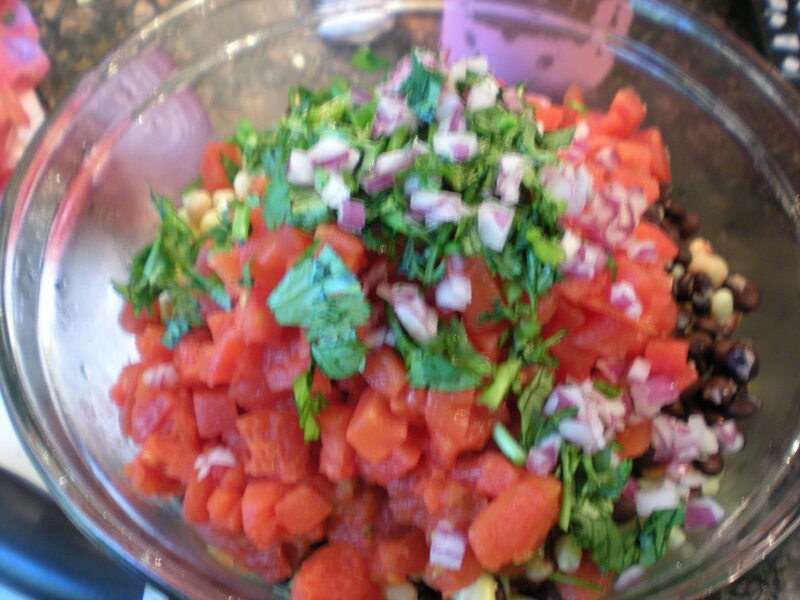 Stir in the tomatoes, Rotel, onion, cilantro, cumin and mix well. 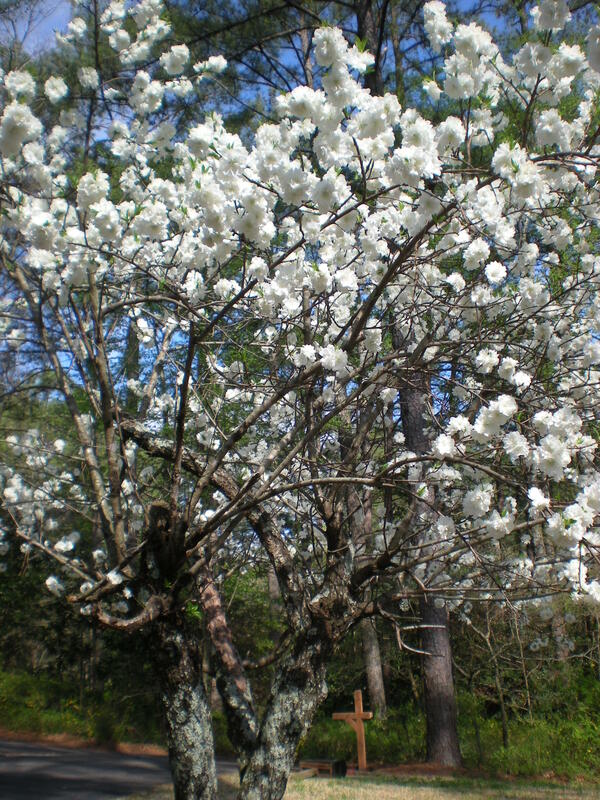 The view from my kitchen window is one of my favorite places in the house, especially in the spring. 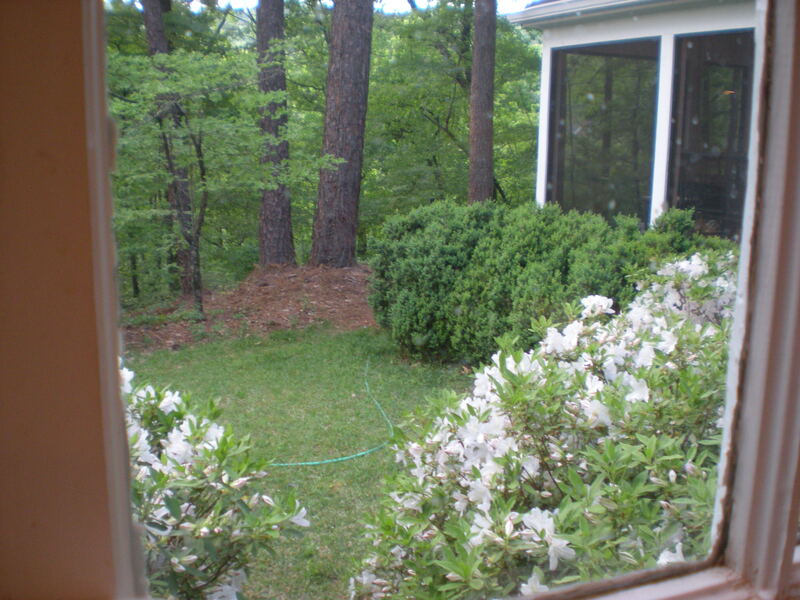 The azaleas are bursting and having this view makes being in the kitchen and cooking that much better. Especially with a crisp class of sauvignon blanc. We’re entering my favorite time of year to cook — so much fresh and beautiful produce to enjoy. God’s provision always amazes me every time this season rolls around and I do my best to make sure we enjoy the healthy, delicious things He provides for us, especially in the spring and summer. 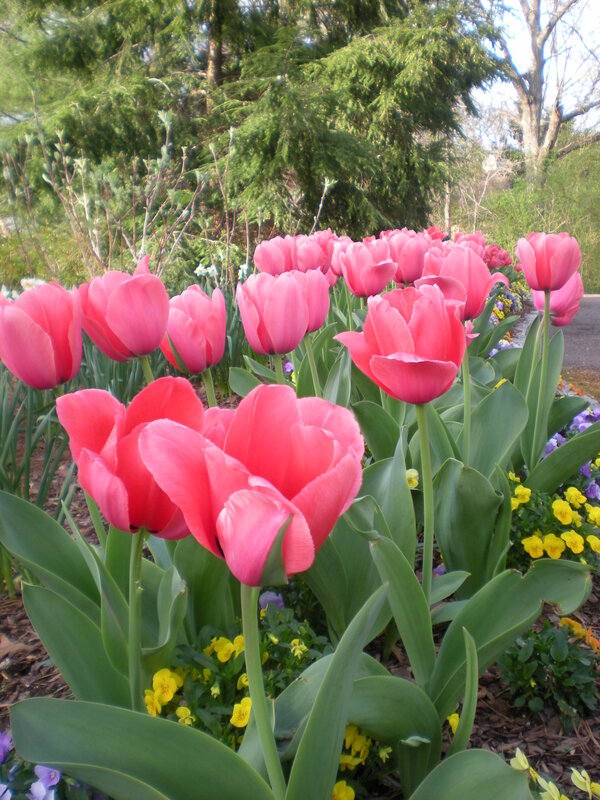 I have lots of good recipe posts coming up, but I thought I would start this coming week with sharing our weekly menu and a few pictures of springtime at our house. 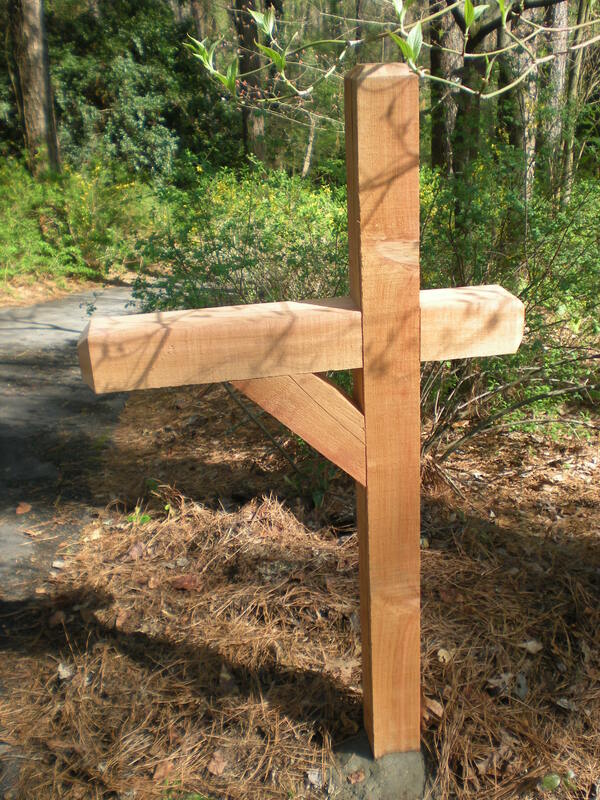 the beginnings of our new mailbox! yay! My herbs are thriving, although we’ll be losing the cilantro pretty soon — it’s a cooler weather herb, so I’m trying to use it as much as possible now, with black bean dip and fresh pico de gallo. The pico is so simple, it doesn’t really deserve it’s own recipe post. 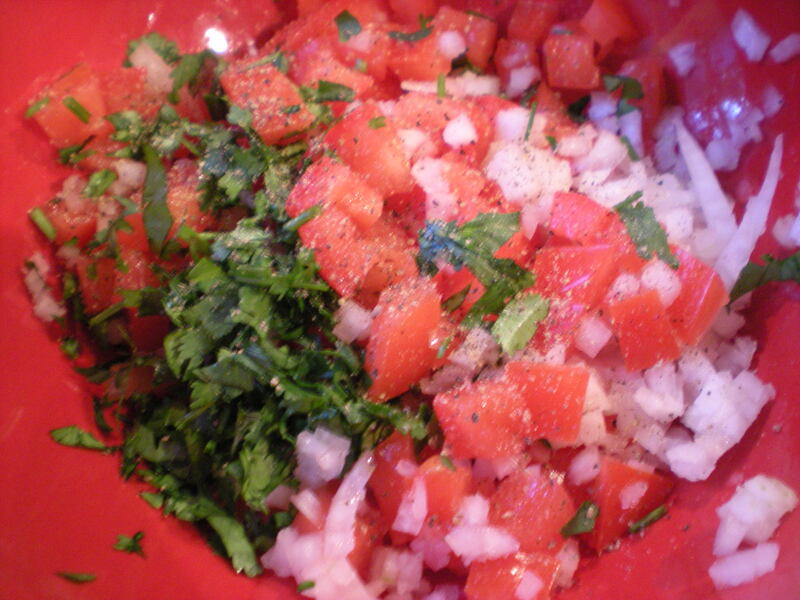 Basically, you just chop up a few roma tomatoes, a tablespoon or two of white onion, a bunch of cilantro and mix with salt, pepper and the juice of one lime. Here’s what’s on the docket this week. I’ll be following up with the recipes for some of these things shortly, so stay tuned. 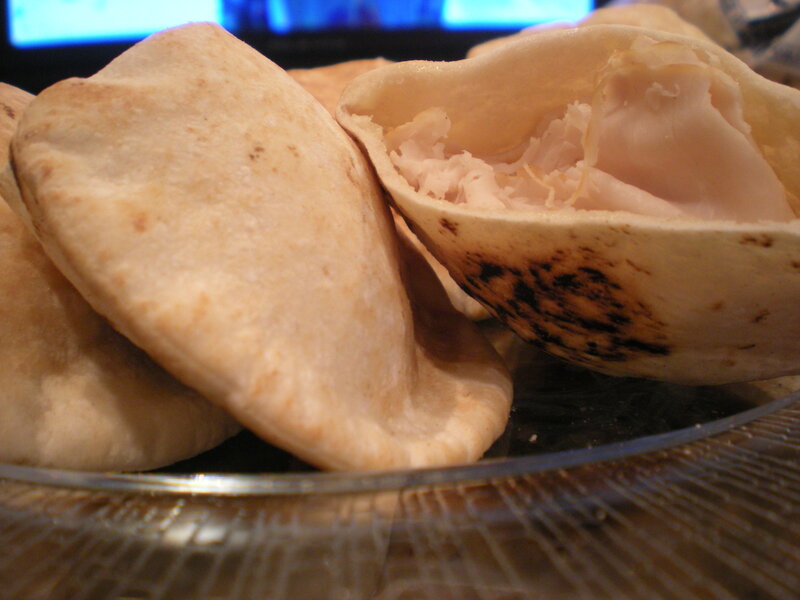 Growing up, my mom would make these awesome little turkey pitas every so often, for parties and get-togethers. I took them for granted, eating 3 or 4 at a time and having no idea what a ‘labor of love’, as she calls them, they are. So, in my oblivious state, I decided I would just whip up a pot of tomato-basil soup and some deceptively simple-looking turkey pitas really fast for our supper club Thursday night. Not so fast. 3 hours later, I had 50 turkey pitas, only 8 of which were left after our dinner! They are great finger-food, for tailgates, cocktail parties, and kids love them…you can make a bunch for lunches during the week, they save very well in a ziplock baggie. I’m telling you, these things are totally awesome, but if you want to make a large number for a party, give yourself some time. Also, I have to disclaim, these are really only for Birmingham foodies — I don’t know where else you can get these baby pitas in other towns. *And yes, that is the Olympics on the TV in the background of the photo. Shaun White had just won gold! 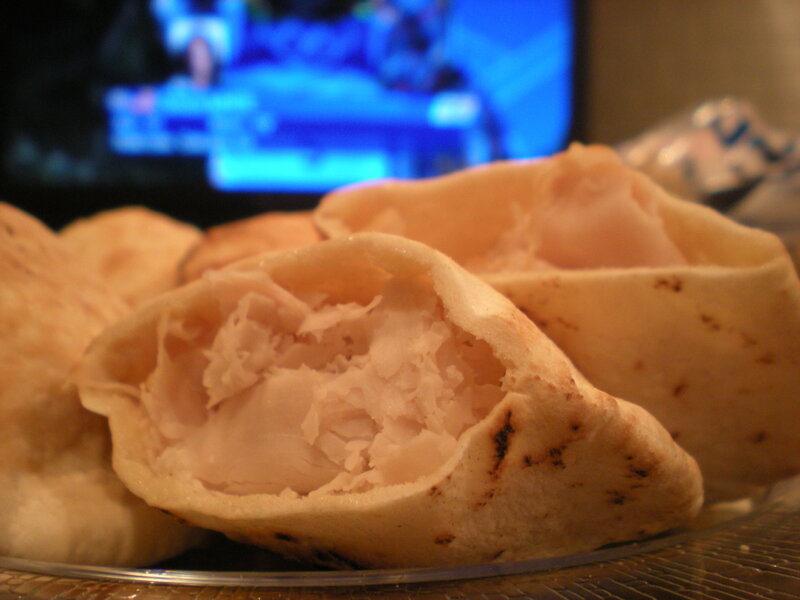 Call Naji’s the day before (205.945.6001) and order party pitas (these are little baby ones). You pick them up at their market, on West Valley Avenue. Cut the tops off each pita with kitchen shears. Carefully pull the pita apart to make the pocket. Be careful, because they are thin and rip easily. In a mixing bowl, stir together equal parts Durkees and mayo, maybe a bit more mayo than Durkees. Then, spread a thin layer of the condiment mix on the inside of the pita (both sides). Stuff with shaved turkey. Eat one, then make another one. For a family Thanksgiving dinner last night, I was assigned an appetizer for 23. I gave this some thought, because I was afraid of having to work a full day and then get the appetizer delivered, and hot, by 6:00 pm. I stumbled upon this recipe in Food and Wine, but it was actually in the form of a print ad by Pepperidge Farm. 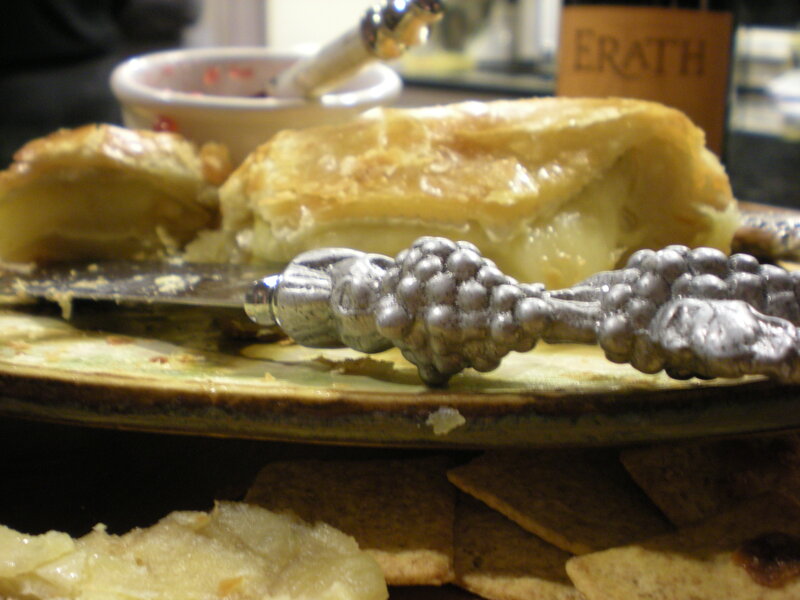 It’s a warm, gooey brie round wrapped in a flaky pastry shell. It was beyond simple, delicious and quite professional-looking…and it only took 25 minutes. 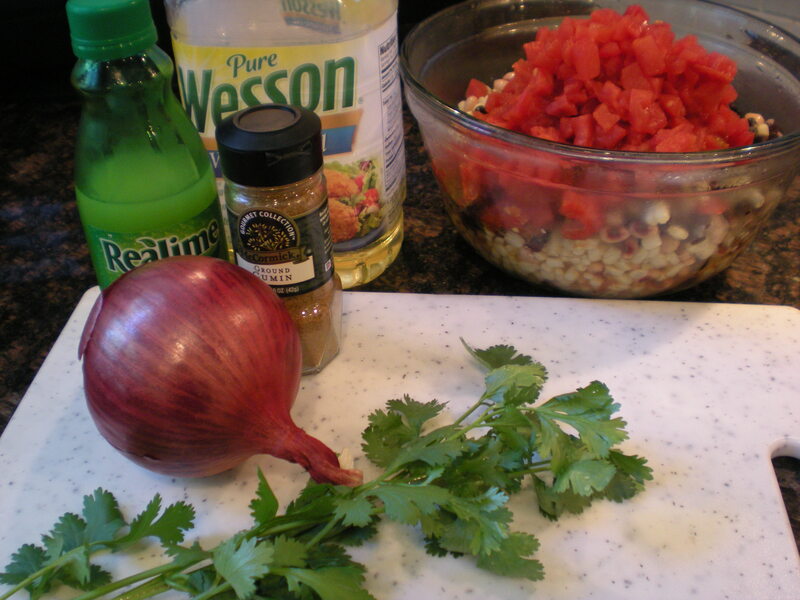 Give this a try for your next appetizer, it was a big hit! Serve with any kind of crackers (used Wheat Thins here) and a side of fruit preserves (strawberry works well). Preheat oven to 400. On a floured surface, unfold the pastry sheet, being careful not to tear it. Place the brie round in the middle of the sheet and then fold in each corner to wrap the brie with the pastry. Brush the egg over the seam and then flip the brie over onto a cookie sheet. Brush off an excess flour. Brush the top and sides with the remaining egg. Bake for 25 minutes. Let stand about 20 minutes before serving for the cheese to settle; otherwise, when you cut into the pastry, the cheese will be too runny and just ooze out.